Reviewed by David Lloyd Klepper, reprinted courtesy of Noise Control Engineering Journal, 60(2), March-April 2012, p. 220-221. This is a well-written and illustrated, unusual, and important book. Modern acoustical science began with the correlation of subjective responses with physical measurements (W. C. Sabine’s stop-watch and organ-pipe experiment in Harvard’s Sanders Theatre)1 and continues on this basis with most of the papers in the latest issue of The Journal of the Acoustical Society of America, and this book as well, following this basic pattern. Yoichi Ando’s research, first reported in 19832, adds a third element, the actual activity of the human brain, as determined by electroencephalography (EEG) and magnetoencephalography (MEG) responses, as well as much psychological testing. Is this a worthwhile effort? My own conclusion is an emphatic yes. I was reminded of an incident in my own consulting career. At the basic planning meeting, the architect for a Presbyterian church stated, “I am the architect and I wish this church to reflect my esthetics, and I prefer the sound of music of all kinds in an outdoor environment”. In this particular case, the pastor intervened to state that he was strongly supportive of the church’s musical program and felt that the acoustical consultant, not the architect, had a better grasp of the church’s acoustics needs. I might have been able to convince the architect even without the help of the pastor with the results of Ando’s research as to the reason musicians and listeners prefer some reverberation. There are good architectural acoustics and noise control texts stating the how3, but this may be the first to state the “why”. 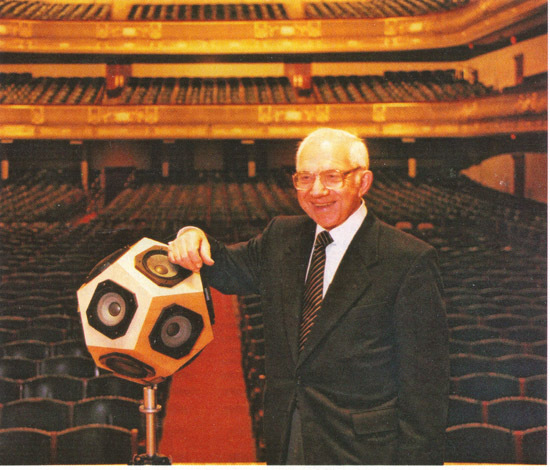 In addition to describing and validating his approach, with due credit to the EEG and MEG specialists who helped, Ando uses it to address concert hall acoustics, speech intelligibility, noise annoyance with various common noise sources, and interference with tasks. The second and smaller part of the book uses the methodology to address visual phenomena, in this case varying visual stimulations, first varying in time, and then in space. 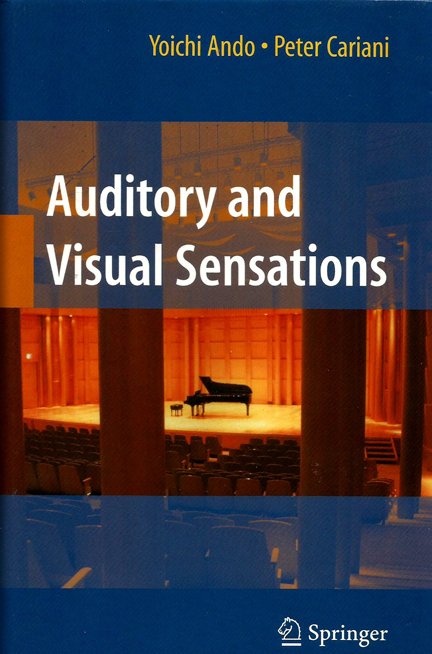 The first and larger portion of the book is the most useful; the second part represents more of a beginning, a start to determine the broader usefulness of the methods beyond sound stimulations, addressing the other human senses. The acoustical portion of the research can still benefit from further work. The setup discussed on page 24 should have added an overhead source, because reflections from above can be beneficial or destructive.4 Tests for the preferred delay time of a single reflection (p. 26–27), used for concert hall work to determine the first reflection, give a reading for slow music. Here the reflection is clearly substituting for the missing reverberation and thus giving a false value for the design of real halls. The experiment should be repeated with the typical “tail” of reverberation following the first reflection. The Boston Symphony Hall experiment (p. 37) seems to omit the effects of musicians and their instruments on the stage and other diffusing elements in the hall. In designing two well-regarded Japanese concert halls, Kirishima and Tishuyami, Ando assisted the architects by beginning with the simple shoe-box design, then modifying it in accordance with his studies. In the first case, with Kirishima’s sloped walls and peaked ceiling, the hall ended up similar to the “Fish Church,” 1st Presbyterian Stamford, CT., which is far from the shape of a shoebox5! The second remained truer to the shoebox form, but has interior columns between seating and side aisles, much like Slee Hall at the New York State University at Buffalo. I would hope that in the future Ando could do some research on rectangular plan halls with tent-shaped ceilings and on mild-fan-plan halls.6 The speech testing could be extended to determine effects on listener fatigue, which would of great value in aircraft communications and similar safety networks. Ando has applied his techniques to the annoyance of toilet and aircraft noise, and a huge number of other noise sources await his attention. But then possibly a main purpose of the book is to inspire other researchers to do that work. The most useful application of his methods to visual phenomenon may not be the special and time varying effects he has measured. He or other researchers may wish to address such questions as what light levels and color balances are best for reading, retail shopping, listening to music in a concert hall or at home, dining, dancing, food preparation, praying, an assembly line, surgery? 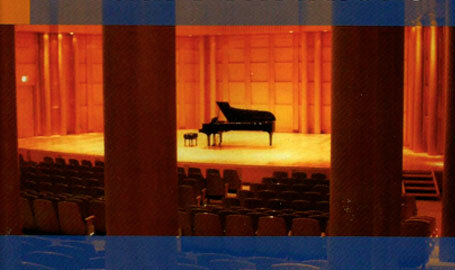 What should the color of the walls of a concert hall be? The stage, the ceiling? Possibly more important and more realistic, what should they not be? In addition to a good index and definitions of terms, excellent references are given. But the eighth from the bottom on page 309 needs a correction: “J. 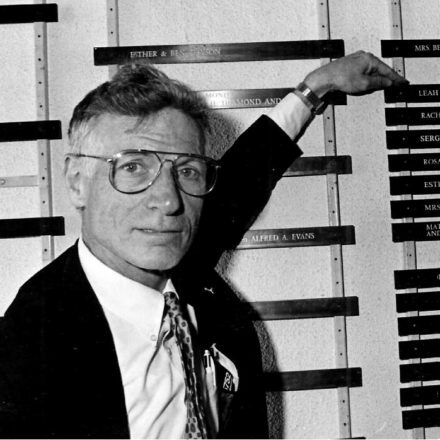 J. Firwer” should be J. J. “Figwer.” And the important Haas reference in the middle of page 312 is available for English readers, translated from the original German by K. P. R. Ehrenberg, in the Library Communication No 363, Building Research Station, Watford, Herts, England, 1949 and p.C-10-C-23 of Sound Reinforcement, An Anthology, Audio Engineering Society, New York, 1978 (The first of two such anthologies). This book presents a good start and much important progress. Let us hope the work continues. 1) Wallace Clement Sabine, “Collected Papers on Acoustics”, Acoustical Society of America, Reprint of 1923 publication, (1993). 2) Y. Ando and I Hosaka. “Hemispheric Differences in evoked potentials to special sound fields”, J. Acoust. Soc. Am., 74(S1), (1983). 3) Marshall Long, Architectural Acoustics, Academic Press, New York, (2006); L. L. Doelle, Environmental Acoustics, McGraw Hill, New York, (1972); David M. Egan, Architectural Acoustics, Fort Lauderdale, Fl, (2007); Leo L. Beranek, Noise and Vibration Control, Institute of Noise Control Engineering, (1988); Cyril M. Harris, Handbook of Acoustical Measurements and Noise Control, McGraw Hill, New York, (1998); and others. Other books cover concert halls, worship spaces, transportation noise, sound and communications systems, and other specific topics. 4) For useful reflections: F. R. Johnson, L. L. Beranek, R. B. Newman, R. H. Bolt and D. L. Klepper, “Orchestra Enclosure and Canopy for the Tanglewood Music Shed”, J. Acoust. Soc. Am., 33(10), 475–481; (1961); D. L. Klepper, “The Acoustics of the Jacksonville Civic Auditorium”, J. Acoust. Soc. Am., 35(10), 1501–1506, (1963); L. L. Beranek and D. L. Klepper, “The acoustics of the Binyanae HaOoma, Jerusalem Concert Hall”, J. Acoust. Soc. Am., 33, 1690–1698, (1961); T. Hidaka, L. Beranek, S. Masuda, N. Nishihara and T. Okano, “Acoustical Design of the Tokyo Opera City Concert Hall”, J. Acoust. Soc. 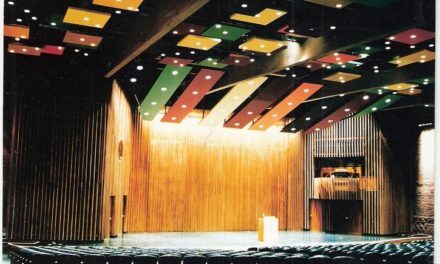 Am., 104(1), 340–354, (2000); and L. L. Beranek’s three concert hall books: Music Acoustics and Architecture, Wiley, New York, (1962), Concert and Opera Halls, How They Sound, Acoustical Society of America, Woodbury, NY, (1996), p. 434; and Concert Hall and Opera Houses, Music Acoustics and Architecture, Springer, New York, (2004). For reflections causing problems: L. L. Beranek, F. Johnson, T. Schultz and B. Watters, “Acoustics of Philharmonic Hall during its First Season”, J. Acoust. Soc. 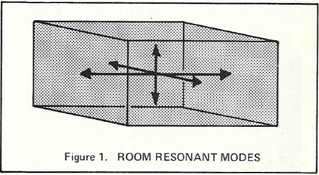 Am., 36(7), 1247–1262, (1964); T. Schultz and B. Watters, “Propagation of sound across audience seating”, J. Acoust. Soc. Am., 36(5), 885–896, (1964); G. Sessler and J. West, “Sound transmission across theatre seats”, J. Acoust. Soc. Am., 36(9), 1725–1732, (1964). 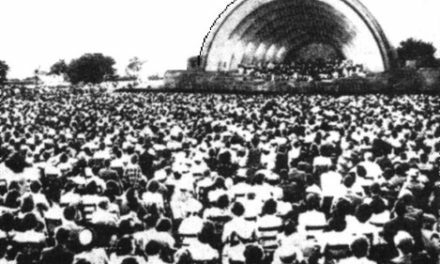 5) D. L. Klepper, “Tent shaped concert halls, existing and future”, J. Acoust. Soc. Am., 124(1), 15–18, (2008); and “First Presbyterian Church, Stamford, CT”, J. Acoust. Soc. Am., 31(7), (1959). 6) The excellent Toyo Opera City concert hall is clearly not a shoebox hall, and such excellent halls as The Maltings, Sipe, England, and the mild fan-plan Uhline Hall, Milwaukee Performing Arts Center, Whellin Hall at Hamilton College, Clinton, NY, and the auditorium at Ambassador College, Pasadena, California, must be included in any comprehensive concert hall survey. Grace Rainey Rogers Hall at the Metropolitan Museum of Art, New York, was analyzed in L. L. Beranek’s 1962 book, but not included in his books of 1996 and 2004. 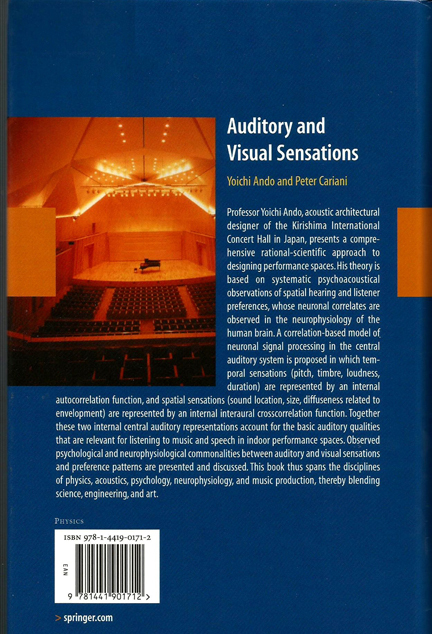 This reviewer’s opinion is that all books presenting overall total theories of concert hall design base conclusions on far-too-small a number of samples.